Renowned for its know-how, setec applies its engineering excellence to the benefit of complex and global airport engineering projects. An airport is a system at the crossroads of numerous interfaces, and is subjected to heavy operational requirements in terms of safety and security. A complexity increased in the case of construction under operation. 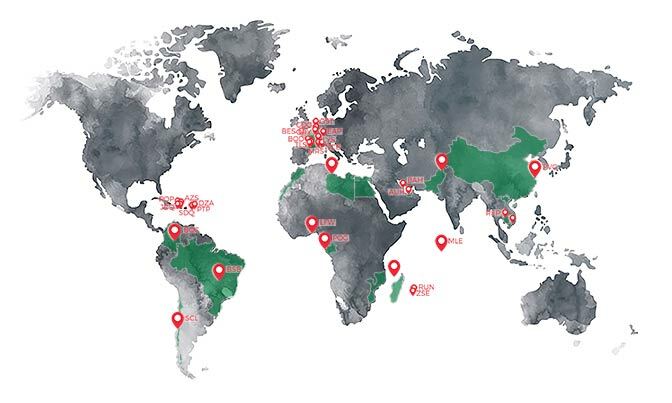 Our partners and clients stretch from airport operators, airlines and constructors to airport authorities, investment funds, suppliers and aircraft manufacturers. All expect greater flexibility, performance and cost efficient schemes; while facing environmental challenges. As an innovative solution provider, setec works by their side to ensure they meet all those requirements, offering an all-inclusive package of services such as conception to completion designs, building engineering for existing facilities, planning and maintenance strategies for the end user. Our in-house team ensures the promotion of efficiency on a whole life cost basis and smooth transitions during the lifecycle of a project. The airport department at setec has been emerging in line with the growth of the aeronautical industry Designers, planners, economists, specialist engineers in infrastructures, buildings or systems…, all are pooled within this dynamic department, and are deployed in project teams to take on your challenges. 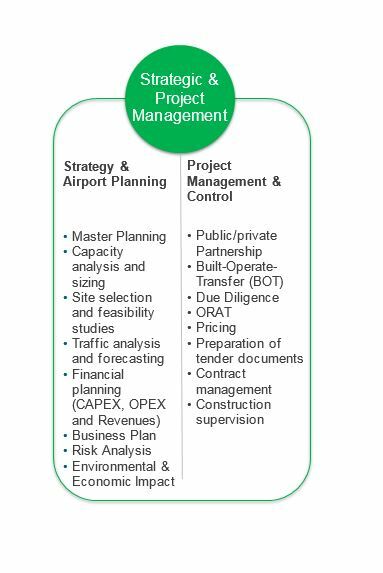 setec provides consulting services in the field of strategic development and airport master planning. This covers works of diagnosis; traffic forecast scenarios analysis and advising on appropriate business strategies. The aim here is to identify and fully understand all the issues at stake and to explore investment opportunities. Air travel is a crucial catalyst to the growth of the global economy. We need to plan ahead in order to achieve process optimization and cost effectiveness in airport projects. Through the initial studies, our goal here is to seek opportunities on new or existing platforms, and to assess projects viability and feasibility at an early stage. At setec, we value short term returns on investments and the essential long term development vision of the future airport. The diagram below highlights many of our strategic studies and services. For 60 years, setec has been a leader in infrastructural design. Some of our global landmarks standout such as The Millau Viaduct in France, the Channel Tunnel between France and the U.K and the Grand Ravine Bridge in the Réunion Island. We have an extensive experience of working with numerous stakeholders to deliver the best solutions, for both new build and expansion projects. The infrastructural packages are essential for the success of an airport, as they insure its functionality, safety and its operation. 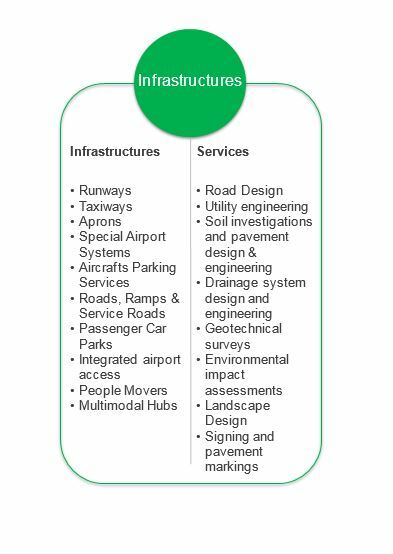 The diagram below highlights many of our infrastructural works and services. setec is renowned for its excellence in the building engineering sector, its latest prestigious project being the Louis Vuitton foundation in Paris. This expertise gained from such complex projects is applied to our airport buildings. setec has designed many airports ranging from smaller regional airports to international hubs, working collaboratively with our clients and adhering to the specific stakeholder requirements. This has enriched our knowledge on efficient functional designs and on how airports operate at an optimal performance. We provide basic and complex projects for all airport facilities; these include the design of passenger terminal buildings and all the services that complement its operation such as central utility complex building, VIP terminal, fuel farm, ground transportation services and their logistic challenges both in landside and airside areas. 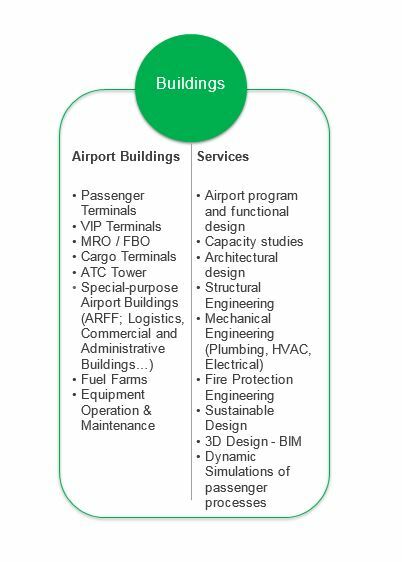 The diagram below highlights many of our airport buildings and services. 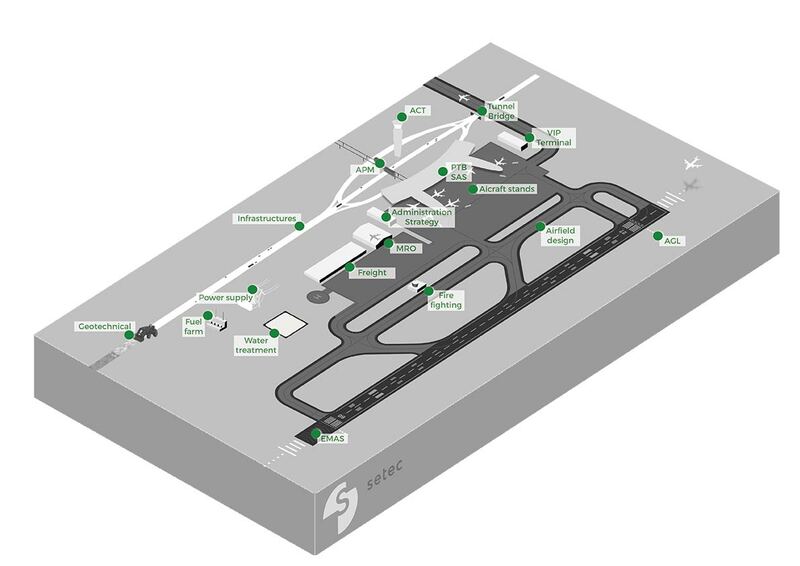 All special airport systems are designed by setec engineers that aim to optimize and ease the airport processes in order to enhance the passenger experience during their travels. It is of our concern to engineer special airport systems that work coherently in order to achieve the optimum chemistry between all interfaces. These systems play a key role when determining the efficiency of a successful airport; they insure security and safety of the passengers as well as putting all airport operators in control. 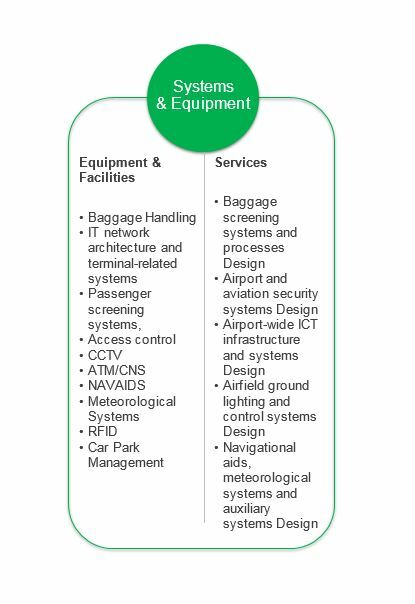 The diagram below highlights many of our special airport systems and services.